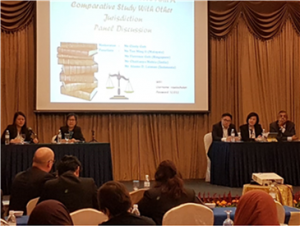 JTJB Partner Florence Goh was one of the panelists at the 5th ADVOC Business Conference held in Kuala Lumpur on 15 August 2017. This interactive Panel, chaired by Cindy Goh, Partner of Cheang & Ariff, discussed issues in connection with the migration by Malaysia to no par value regime for shares, the roles and fiduciary duties of shadow directors and sleeping directors, and senior management of material influence who do not sit in the board. Diverse corporate rescue mechanisms in each jurisdiction were also examined. 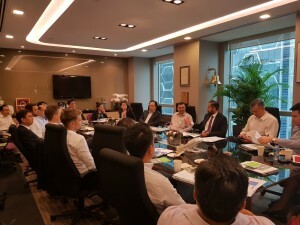 The Panel also comprised Tan Ming-li, Partner of Cheang & Ariff (Malaysia), Chaitanya Mehta, Partner of Dhruve Liladhar & Co (India) and Alamo D. Laiman, Senior Partner of Legisperitus Lawyers (Indonesia). On the 26th July 2017, JTJB, together with the SIAC and IMF Bentham presented an exclusive breakfast roundtable discussion for its clients. The panel provided expert insights on, using the new features of the SIAC Rules and the new insolvency laws in Singapore and India to secure effective recovery of debts. JTJB Partner Baldev Bhinder, led the discussion on using the right pressure points in the litigation process across the globe to achieve results. Participants engaged in a vibrant discussion on experiences in India, Malaysia and Indonesia and the recent availability of arbitration funding in Singapore to minimise risk in the litigation process. 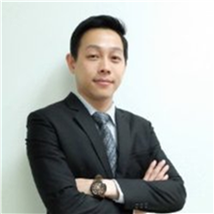 JTJB Senior Partner Danny Chua was invited to speak at the Junior ADVOC Meeting, held in Kuala Lumpur on 14 August 2017. Drawing from 34 years of experience, Danny shared his insights with young ADVOC members from Malaysia, Indonesia, Australia, Cambodia and Bangladesh on the development and management of client relationships. Besides delivering high quality work, Danny emphasised the need to understand the client’s business in order to provide commercially viable and effective solutions. 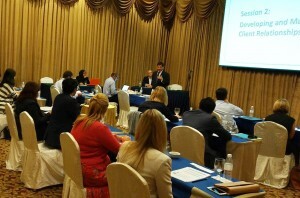 Delegates also enjoyed a lively discussion on current issues such as networking through the use of social media. 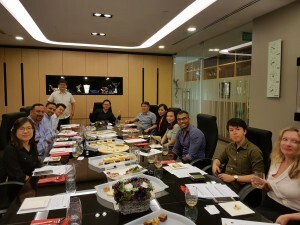 The Junior ADVOC Meeting was chaired by Tom Darbyshire, Partner at Kott Gunning Lawyers of Perth, Australia, and concluded with a networking dinner hosted by Cheang & Ariff. JTJB’s Wine Tasting event was held on 25th August 2017, Friday at JTJB office. The exclusive networking event was hosted by Deputy managing Partner John Sze and Partner Florence Goh. The event featured wines across 3 sub regions of Burgundy – Côte de Beaune, Côte de Nuits and Côte Chalonnaise. JTJB Bangkok’s Managing Director, Mr. Naiyachon Tathong has been ranked in Asialaw Leading Lawyers 2017 under the Dispute Resolution, Litigation, Shipping & Maritime, Aviation and Intellectual Property practice areas. He was also nominated for the Dispute Star of the year. The Asialaw awards were presented to leaders in 13 practice areas across 14 jurisdictions around the region. This year the awards will be supporting Feeding Hong Kong, where all proceeds raised will go towards eliminating food waste and hunger in Hong Kong.